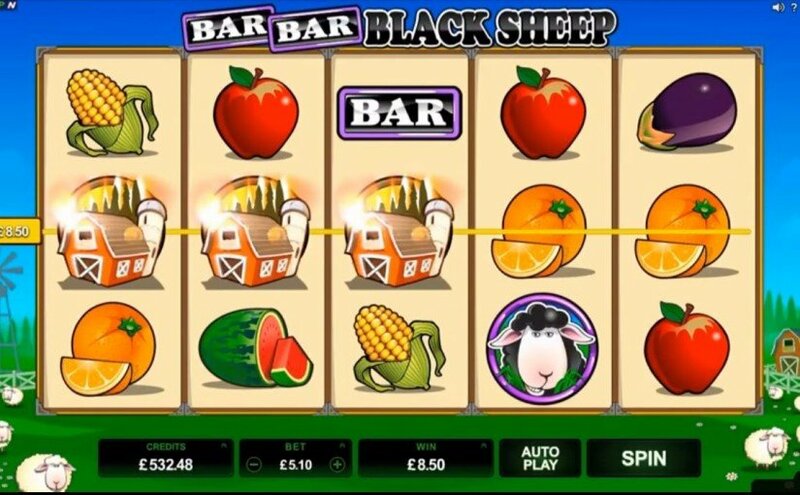 Bar Bar Black Sheep is a 5 x 3 reel online slot with 15 fixed paylines, Wilds and Scatters powered by Mirogaming. Come join the fun and discover its brand-new features: a special on-screen bonus, the chance of winning up to 999x your line bet, the Free Spins feature and the Bar Bar Black Sheep Bonus. With a minimum bet of 0.15 and wins up to 95 000.00, you get to take a break from the daily noise and retreat in a peaceful surrounding. Moreover, the bright blue sky turns into a golden sunset in the Free Spins feature to enhance your farmyard experience.